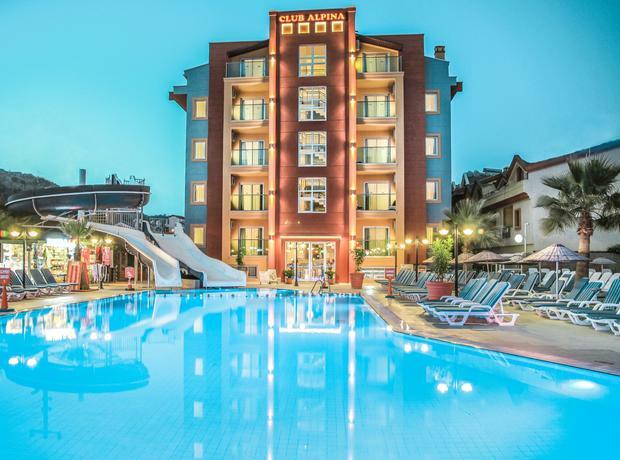 The brightly coloured Club Alpina sits at the heart of Marmaris and is the perfect choice for family holidays. The modern guest accommodation is complemented by plentiful family-friendly activities, tasty dining options, and a lively day and night entertainment programme. There's water-based fun on the menu during the daytime. The main pool is lined with sun terraces to relax and work on your tan. Splashing times are on the agenda for the children in their own pool, complete with a colourful waterslide feature at its centre. 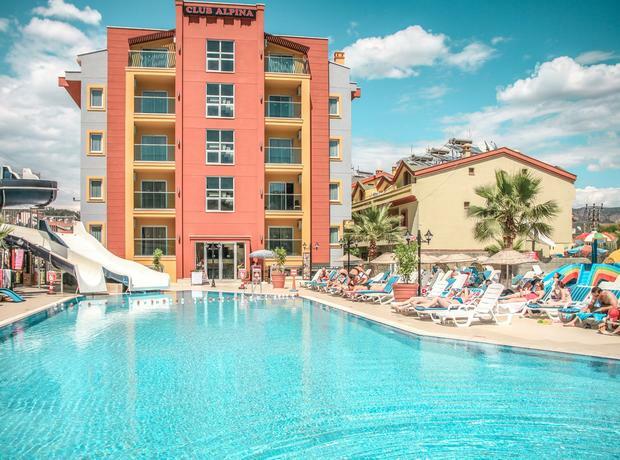 Step indoors and uncover a fun-packed games room and a spa area with sauna and Turkish bath. The guest apartments are kitted out with all the facilities you need to self cater. The kitchenette allows you to rustle up a snack and has a fridge to keep your drinks cold. Modern touches such as air conditioning and a satellite TV add to your comfort. A well equipped bathroom and a furnished balcony complete the picture. In terms of food and drink, there's a host of round-the-world flavours to savour. Tuck into Turkish specialities and international cuisine in the restaurant. Light bites are available in the poolside snack bar during the daytime too. The weekly Turkish Night and BBQ is an event not to be missed. After dark, the barman is happy to shake you up one of his signature cocktails to enjoy as you watch the impressive line up of evening entertainment on stage. Fun times with all the family make Club Alpina a favourite place to stay. 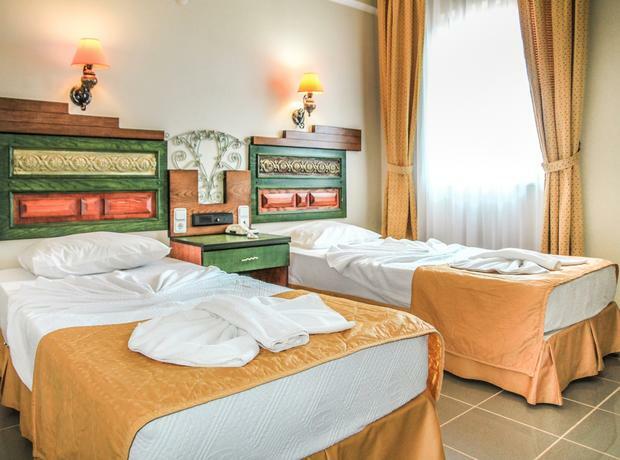 Club Alpina is packed with facilities and activities. 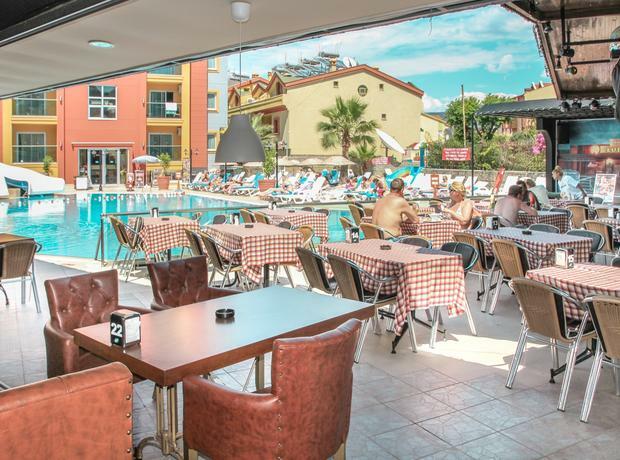 Highlights include: a large outdoor swimming pool, sun terraces with sunbeds and parasols, 24-hour reception, lounge, restaurant, poolside snack bar, cafe bar/lobby bar, games room with pool table, table tennis, arcade games and console games, mini market, and complimentary Wi-Fi in restaurant and pool area. The wellness centre offers massage rooms, Turkish bath and sauna. Child-friendly activities: children's pool with waterslides, play area and games centre. 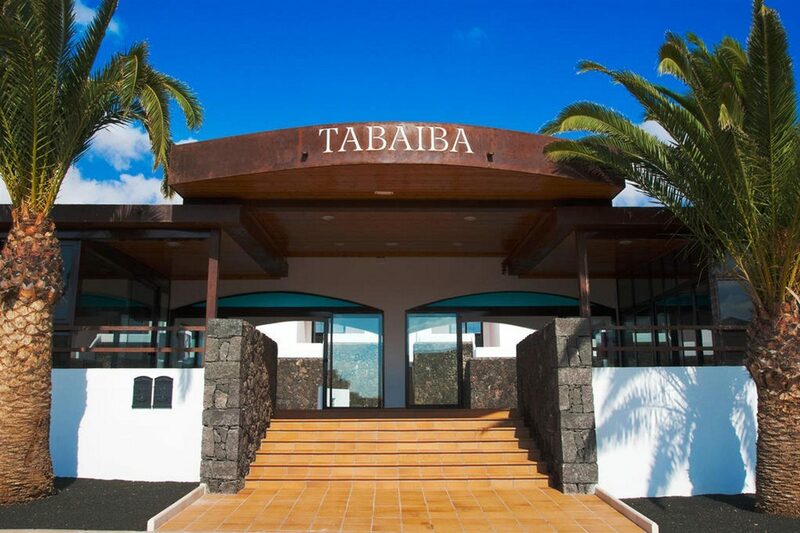 Club Alpina has a total of 60 modern guest apartments. 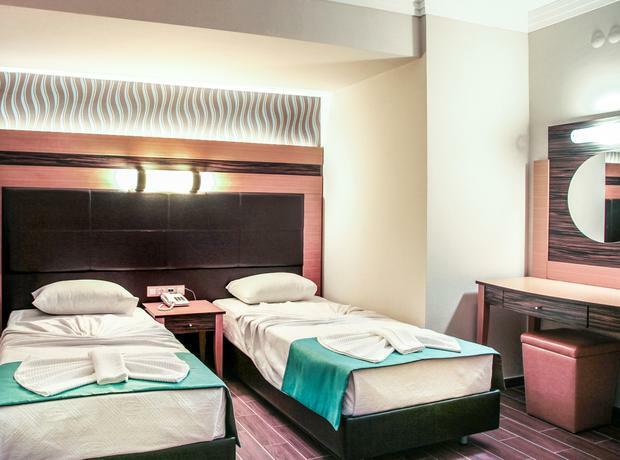 Apartment highlights: double or twin bedroom, lounge area with double sofa bed, satellite TV, safety deposit box to rent, individually controlled air conditioning, hairdryer, bathroom, and balcony or terrace. There's also a kitchenette with fridge, microwave, kettle, hob and kitchenware. The main restaurant serves a menu of Turkish and international dishes. Light bites are available from the poolside snack bar. Hot and cold drinks and cocktails are served at the Cafe Bar/Lobby Bar. The evening entertainment programme includes: themed events, singing, dancing, a Turkish night and BBQ.